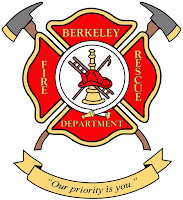 The City of Berkeley Fire Department is accepting applications for the position of Firefighter - Paramedic. Candidates are encouraged to apply online, and may attach copies of relevant documentation. Complete application packets (including CPAT card, licenses/certifications, etc.) must be received by Monday, August 1, 2016 at 5:00 p.m. PST. Annual Salary $92,252 to $116,213 (which includes 6.25% FRALS and 4% EMT pay differentials) Additional 12.5% when assigned to Ambulance Transport. Safety practices and precautions pertaining to the work. Remain calm, make sound decisions, and respond appropriately in emergency situations. Graduation from high school or GED equivalent; must have a valid California Paramedic License, National Registry Paramedic Certification Card, or be actively participating in a Paramedic Field Internship Program; and must possess a Candidate Physical Ability Test (CPAT) Card of Completion issued no earlier than one (1) year from the recruitment filing deadline. Must be able to travel to various locations within and outside the City of Berkeley to meet the program needs and to fulfill job responsibilities. When driving on City business, the incumbent is required to maintain a valid California Class C or higher driver's license as well as a satisfactory driving record, and must obtain Firefighter Endorsement prior to the completion of the Fire Academy. Must be willing to maintain facial hair in such a way as to ensure proper fitting and operation of self-contained breathing apparatus. Must be willing to work shifts as structured in the Fire Department. Must possess strength and stamina sufficient to lift and carry equipment and patients weighing up to 150 pounds. By date of appointment, must possess a valid California Paramedic License, complete the Alameda County Paramedic Accreditation core courses, and reside within forty (40) air miles from Berkeley City limits. Applications and all other related materials must be submitted online. Applicants who meet all the requirements and have successfully submitted a complete application packet by the deadline, 8/1/16, will be invited to participate in a written test scheduled for 08/20/16 and 8/24/2016. If you have taken the written test through the Firefighter Candidate Testing Center (FCTC), your results can be accepted and you are not required to participate in the written test. Candidates who have passed the written examination will be placed on an eligibility list and invited to the first round of interviews, scheduled for the weeks of 9/19/16 and 9/26/16. Following the first round of interviews, a select number of candidates will participate in the second round interview with the Chiefs, which includes a Paramedic skills assessment. A final group will be scheduled for the last round of interviews with the Command Staff. Following completion of the final interviews, selected candidates will be required to undergo a background check and medical screening.